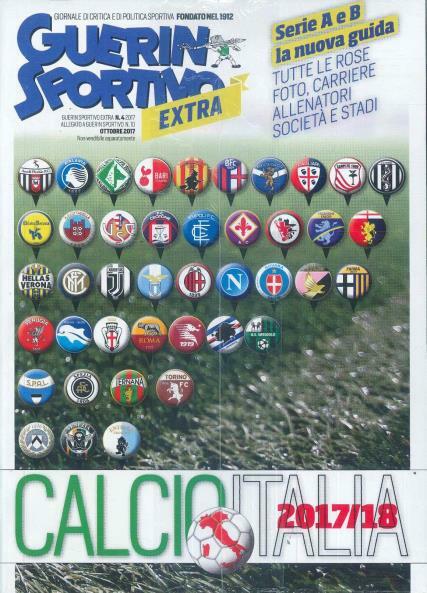 Guerin Sportivo is a weekly Italian language magazine. Buy a single copy or subscription to Guerin Sportivo magazine. Known as the oldest sports magazine in the world and has been covering the world of Italian sports since 1912. Majority of coverage is now dedicated specifically to soccer and is accompanied by first-rate photography that puts its readers on the field every week. Special team reports, features, statistics and more! Inside you will find all the latest news on Italian football from Seria A to B, as well as coverage of other nearby leagues such as the Bundesliga. Featuring interviews with and features on famous players, coaches and managers, all conducted by journalists with years of experience in their field. It also contains funny comic strips and interviews with footballers, club managers and footballing legends. Other articles cover team profiles, league tables and the history of football, in addition to book reviews, fantastic action colour photographs and more!